First impressions are lasting – and at HC Group, we understand that many clients will develop a first impression of your company based solely on the business environment you cultivate. HC Group is an innovative and global company that specialises in providing clients with affordable and high-quality products to suit a range of commercial environments. Whether you’re outfitting a modern office or opening a new café, we strive to match your vision with furnishings designed to promote a comfortable and professional ambience. Our range of over 50,000 products, in twenty different departments, extends from marble-top bars to restaurant dining tables, from laser-cut signboards to eye-catching leisure chairs. However, you won’t have to choose between the products alone! Our specialists will be there to offer you expert advice, ensuring that you find the product that’s right for you and your unique business environment. We’re confident that at HC Group, you’ll find everything you need to create a work space that’s comfortable, practical, and looks great too. The creation of a comfortable and appropriate workspace is one of the most important steps in the development of a successful business. It can also be one of the most challenging – which is where HC Group can help. Every Saturday, we offer clients the opportunity to see their business vision brought vividly to life, through a workshop that aims to involve clients in the development of a tailored design plan that takes into account their vision, their time-frame, and, of course, their budget. With the help of 3D computer rendering, you’ll get to see exactly what your business will look like when it’s reached its design potential. 1995 HC Factory is founded in Guangzhou, China as builders, shopfitters and supplying aluminium and steel to the construction industry. 1997 Yum! Brands appoint HC Factory as official shopfitters for all KFC and Pizza Hut stores in China. 1999 KFC and HC Factory develop a patented pivot door system to be used in allstores in China. A new division called HC Aluminium is formed to handle the demand. 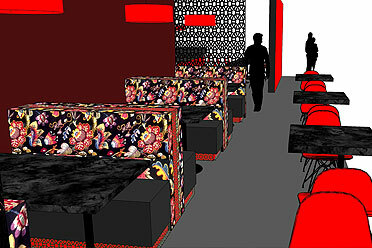 2000 HC Factory design a furniture range of chairs, tables and booth seating for Yum Foods. A new division called HC Furniture is created. In the next 10 years, HC Furniture and HC Aluminium will grow to manufacture over 500 chairs a day and fitout over 2000 restaurants every year. Today, Yum! Brands operate nearly 4,800 restaurants in China across 800 cites. These include KFC, Pizza Hut, Taco Bell, East Dawning and Little Sheep. HC Factory help open more than one KFC store every day and Pizza Hut plan to open 150 stores in 2012. Considering China as the greatest restaurant opportunity of the 21st Century, Yum! Brands continues to invest in the development of their emerging brands with a long term goal to open over 20,000 restaurants in China. 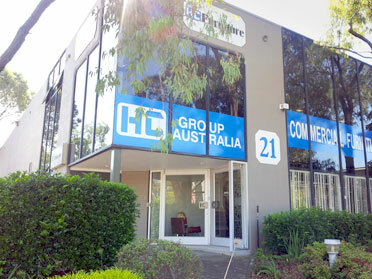 2012 HC Aluminium is renamed HC Group Australia and incorporates 4 main divisions: HCDS, HCCF, HC Aluminium and Wall Decors. 2012 HC Group Australia creates a Catering Division under the HCCF banner to support restaurants throughout Australia and a Wholesale Division to support furniture distributors and resellers.